Nike Shox R4 BQ4000-101 Grade School Kids Size US 4Y ~ 7Y / Brand New in Box! 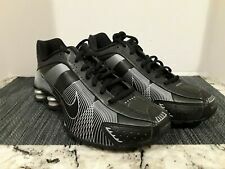 Nike Shox R4 104265-131 Men's Sizes US 8 ~ 14 / Brand New in Box!!! Nike Shox R4 BQ4000 001 Grade School Kids Size US 3.5Y ~ 7Y / Brand New in Box! (1) - Nike Shox R4 BQ4000 001 Grade School Kids Size US 3.5Y ~ 7Y / Brand New in Box! This page was last updated: 20-Apr 09:43. Number of bids and bid amounts may be slightly out of date. See each listing for international shipping options and costs.